Shopping lists will never be as cool as this inventory whiteboard. You’ll feel like an adventurer as you remind yourself to pick up more eggs, bread, mead, and maybe a mace or two. Isn’t that what’s on your weekly shopping list? 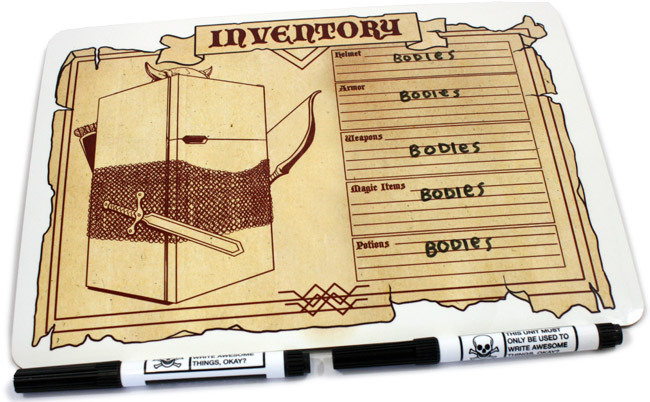 Inventory Whiteboard, $20 at Topatoco.